Following the stiff opposition of 9-political parties, including the Congress, the BJP-led NDA government has finally sent the insurance bill to the select committee. The government is keen to get this key economic reform bill passed. Therefore, the government bowed to the demand of the opposition party and constituted a Select Committee on insurance. 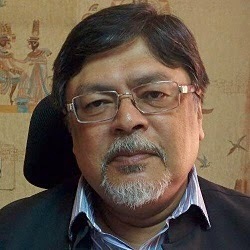 The committee will be headed by senior BJP MP from Rajya Sabha Mr. Chandan Mitra. “The committee would submit its final report on the last day of the first week of the next Parliament session", Union Finance Minister Mr. Arun Jaitley said. The committee consists of representatives from BJP, Congress, BSP, JDU, TMC, CPIM, AIADMK, SAD, SP. Members are: Mukhtar Abbas Naqavi, J.P. Nadda, Anand Sharma, B.K. Hari Prasad, J.D. Seelam, S.C. Mishra, K.C. Tyagi, Derrek O'Brien, V. Maitrayan, Ram Gopal Yadav, P. Rajiv, Kalpataru Das and Naresh Gujral.